A living legend, “Wildman” Steve Brill, leads us on a lively and entertaining tour through the Northeastern United States as he shares tips on foraging in densely populated areas like New York’s Central Park and rural areas throughout New England. The “Wildman” will teach the home cook at any level how to use these foraged foods in everyday meals, whether sprinkled on a salad or baked into a delicious dessert. And perhaps most importantly, you’ll never pay $7.99 for cherries again once you learn to locate them in the wild to pick yourself. In the early 1980s Steve Brill began taking small groups on nature walks through the parks of New York. He would point out various edible plants and berries and encourage his group to try foraging. He coexisted peacefully with the park district until undercover park rangers infiltrated his tour. He was arrested for removing vegetation from the park, that is, he ate a dandelion. The media got hold of his story and it spread like wildfire hitting the national news in days and landing Steve on local and national talk shows. Within two weeks the city dropped the charges and Steve has been conducting tours ever since. And all this before YouTube and going viral! 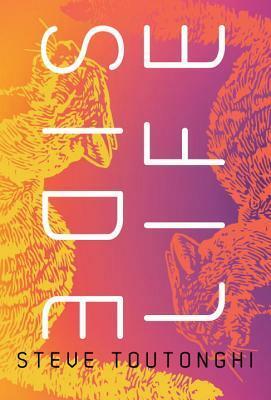 Hen of the Woods is narrated by the author and is more of a commentary than a book. In a very entertaining style he talks about the many edible foods growing in the wild, gives the listener a little history on how he became interested in foraging and tells the story of his arrest for eating weeds which, ultimately, turned out to be fantastic publicity. 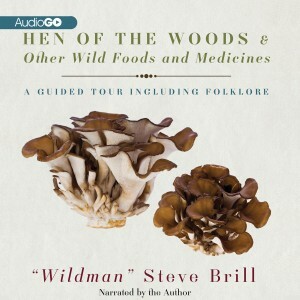 Much of the book is live and narrated while in the field on a foraging tour. He points out plants and answers participants questions and tells entertaining tales. This is not a polished studio production but instead a real-time walk in the park. 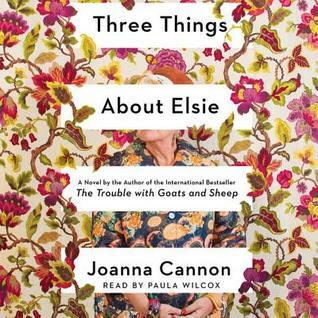 It had the feel of a podcast rather than a finished book. The author imparts too much good information for audio only. To be useful as more than just an entertaining few hours, the book needs text and photos for reference, none of which are included. 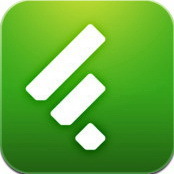 The author does sell a Wild Edibles app which is available for Android and Apple. While I enjoyed the book, it had the feel of an intro for the author’s wild food tours which are held throughout the Northeastern US. Is not a foraging guide. I would never forage on my own without the ability to identify the plants but I would love to learn how and after listening to Hen of the Woods, and know I would enjoy a tour. For those interested in nature and foraging, this gives you a feel for what you can find growing in your local park. I do like nature but I’m not sure I’d want to forage. This does sound interesting, though. I think I’m too much of a chicken to forage on my own but agree that a tour would be great. This is fascinating, Leslie! It seems strange to us now, but this is how people used to survive. Excellent review. The tours do sound like fun. This sounds right up my alley! I love learning/experiencing new things in nature.